Our next JBS Haldane Lecture will take place on Wednesday 23rd January 2019, with Massimiano Bucchi giving his talk ‘Geniuses, Heroes and Saints: How the Nobel Prize has (re)invented the public image of science’. As an introduction to this topic, Prof. Bucchi has written a brief blog post for *Research, reproduced below. The Nobel prizes embody three narratives about the role of elite scientists in society—and they came along at just the right time, says Massimiano Bucchi. In the autumn of 1996, a UK research council committee rejected a funding application from Harry Kroto. Two hours later, the Royal Swedish Academy of Sciences called to say that he and two colleagues had won the Nobel prize for chemistry for their discovery of fullerenes; the same subject as the grant application. The research council swiftly reversed its decision. The British chemist had now entered the small circle of ‘visible scientists’, the elite on whom awards such as the Nobel prize confer almost unassailable prestige and a reputation able to open every door. I first visited the Royal Swedish Academy of Sciences in 1998. Ever since, I have been studying how the Nobel prize shapes the public image of science—and scientists. The prize announcements are one occasion when science makes global headline news, reaching audiences that are quite distant and not much interested in science. ‘Nobel’ has become a metonym for scientific genius and success. As another sociologist, Harriet Zuckerman, noted in her 1977 book Scientific Elite, “[the Nobel’s] influence on the public’s image of science probably counts for more than its function as incentive for scientific accomplishment”. But how has the prize actually shaped how we think about science and scientists? In my 2017 book Come Vincere un Nobel, I argue that the prize underlies three popular narratives: the scientist as genius, the scientist as national hero and the scientist as saint. The narrative of genius emphasises the scientist’s creativity and intellectual exceptionality, reflecting a solitary and romantic ideal. The narrative of the national hero allows the Nobel laureate to speak in the name of a nation, surrogating and sublimating the tensions and rivalries between nations into a more peaceful and noble competition. The narrative of saint incarnate—a focus of attention and worship, celebrated and consecrated through the elaborate ceremony ritual—is an update of the traditional ideal of the scientist as a secular ascetic. In terms of the public image and social role of science, the Nobel was the right prize at the right time. When the first prizes were awarded in 1901, science was already becoming more complex, organised and impersonal. The narrative of genius allowed a focus on individual contributions, figures and faces. At the same time, the struggle and competition between nations was finding a peaceful alternative in arenas such as the Olympic games and universal exhibitions, and science was beginning to be seen as an expression of national strength. The Nobel prizes offered an opportunity to express political rivalry by other means, especially as they were based in neutral Sweden. And as the moral exceptionality of scientists began to be questioned, and research was increasingly defined as a profession rather than as a vocation, the prize gave a new language to scientific virtues such as modesty, humility and dedication to the scientific enterprise. For the general public, science largely remains abstract and inscrutable. The Nobel prize contributed to giving science a face, creating a rich and fascinating repertoire of stories. Alfred Nobel held 355 patents, but the prize founded in his name was his greatest invention. Massimiano Bucchi is a sociologist of science at the University of Trento, Italy. He is giving the UCL Haldane lecture on Wednesday 23 January in London. You can book a place here. When we think of the anti-communism of the early Cold War, we tend to picture the McCarthyism of the United States and the hunt for red influence in Hollywood. But science was under suspicion too. The most infamous case of a scientist becoming entangled with anti-communism, J. Robert Oppenheimer’s “trial” in 1954, which led to the atomic scientist’s security clearance being revoked, is also American. In Britain, Alan Nunn May, the King’s College London physicist, who had worked on the wartime atomic bomb project, was arrested and convicted of espionage in 1946. Likewise, Klaus Fuchs, a German who had come to Britain in 1933 and who had worked at Los Alamos, where he leaked atomic secrets to the Soviets, was exposed in 1950. In 1955 there were at least 87 scientists in Britain who were Communist Party members (1). It was in this context, of deep concerns about communists working within British scientific institutions, that we find the security service casting its net of surveillance wide, and paying close attention to scientists, including some at University College London. With the opening of the MI5 files at the National Archives, the extent and character of surveillance of university staff can be explored in detail. In this post I will open the files on three UCL scientists, each of whom was kept under surveillance because of their communist beliefs and activities. One is ordinary, one was a scientific superstar, and the last a reluctant controversialist. The first set of files concern Alan Robin Ness. His story is perhaps typical of low-level local communist organiser and the state’s surveillance response. Yet it is the very everyday character of the Ness case that shows how inadvertently revealing the MI5 files can be to historians. Ness was twenty years’ old when he first drew the attention of Special Branch in 1943. He had been noticed speaking and chairing at Communist Party meetings in Putney. A police sergeant, who knew Ness by sight, wrote the first report. Using the National Register, this policeman could quickly trace the past and present residences of his charge. 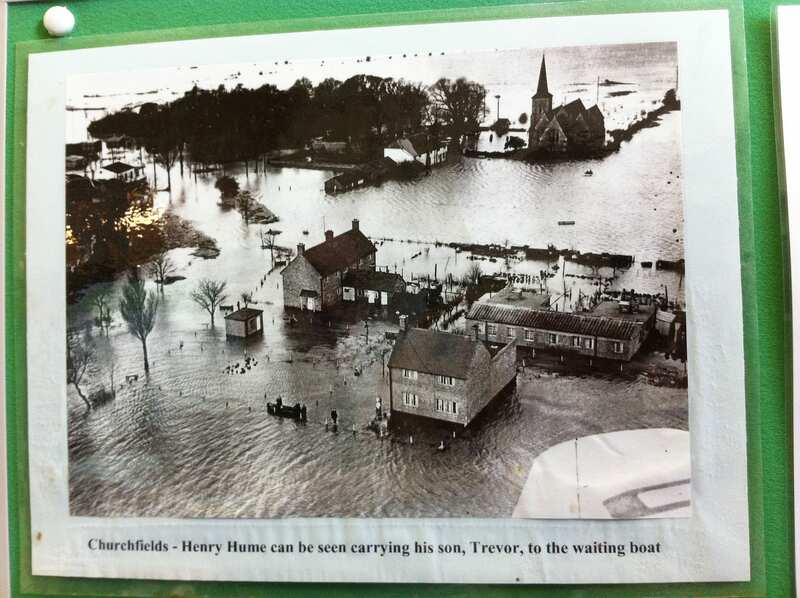 (3) So we know that Ness had been evacuated, while at Wandsworth Secondary School, to West Byfleet in Surrey. There he took the Higher Schools Certificate in June 1940 and awarded a London County Council Senior County Exhibition to attend the Royal Dental Hospital in Leicester Square from that Autumn. Reserved from call-up, he volunteered as an Air Raid Warden. He lived with his father, a civil servant, at 158 West Hill, Putney. The sergeant described his physical appearance: height 5 foot 9 inches, slim build, ‘hair black, long and brushed back-wavy, eyes brown, swarthy complexion, large nose, thick lips, wears horn rimmed glasses, rather untidy appearance’. 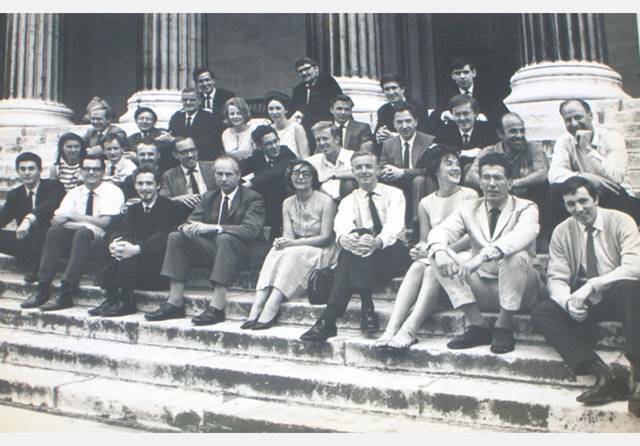 By 1950, Ness had arrived at UCL as a student, later becoming a researcher and ultimately a member of staff in the Physiology department. 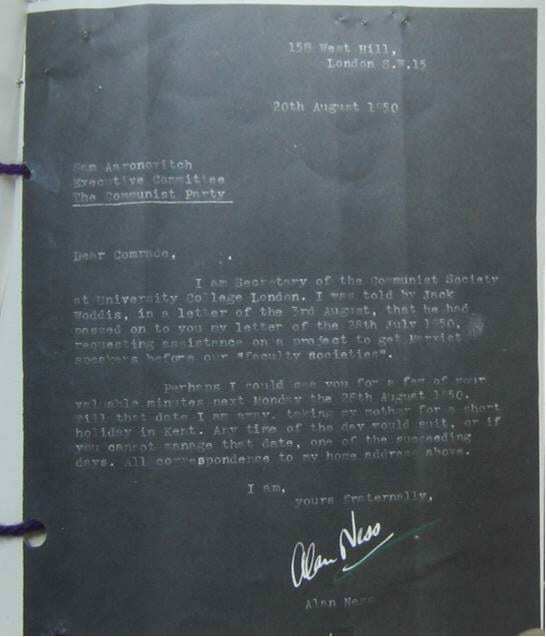 He took on the post of secretary of the branch of the Communist Party at UCL, and, as we can see from the following letter to Sam Aaronovitch, tried to find Marxist speakers for faculty society talks. We can also deduce, from the negative images of correspondence in these files, that Ness’s paperwork was being caught up in the comprehensive interception and copying of Communist Party headquarters mail. Letter from Ness to Sam Aaronovitch, 20 August 1950. 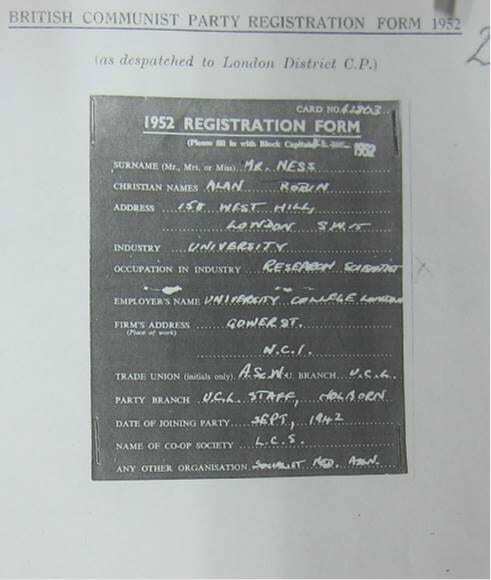 Alan Ness’s Communist Party registration form, 1952. He is listed as a ‘research scientist’. In addition to being a Party member he has joined the Association of Scientific Workers trade union. Ness was a minor concern for MI5. He partook in the social and political activities of the Party: attending a World Youth Fair in Budapest, wrote letters to MPs as part of a British Peace Committee campaign, sent another letter to the US Ambassador about the Korean War, and protested at the Spanish Embassy in support of strikers in Barcelona. In the early UCL years we encounter him as he wanders into view during the surveillance of others. We overhear him complaining to the Party that he feels overworked and overtired, and that he wants to suspend being secretary of the UCL CP faculty branch so that he can get his first academic paper out. The subsequent discussion of possible replacements provides a map of communist staff at UCL in the early 1950s, including the physicist Franz Heymann and the biologist John Maynard Smith. Ness attracted greater attention when he became a friend of Alan Nunn May. The atom spy had been released from prison (with hard labour) in 1952. Alan and his wife Christian (Hamp, whom he married in the same year) got on well with Nunn May and his partner, Hildegard. MI5 tapped the Ness’s phone and opened their mail. 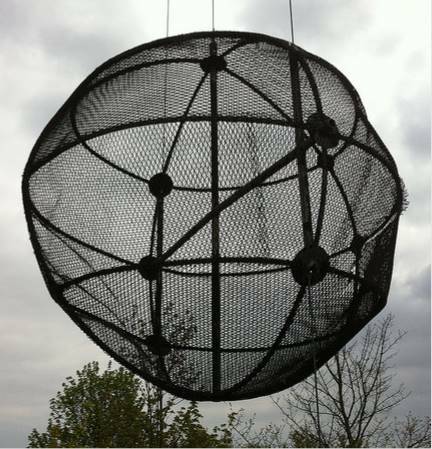 The surveillance net around the atom spy was intense. When Alan and Christine attended the Nunn Mays’ marriage, in Cambridge, it is clear from the report that an informant was even at the ceremony and reception. The thorough surveillance means that intimate documents, ones which would otherwise have been guarded or destroyed, have been archived. Such documents reveal the tensions between personal, professional and political life, and make them accessible to historians. 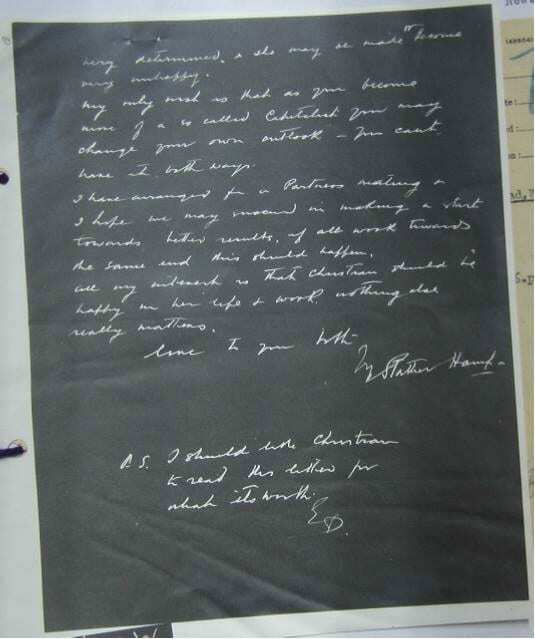 For example, in 1954 Christian’s father, Stanley Hinge Hamp (4), wrote a heartfelt plea to Alan which speaks of his paternal concern for his daughter, her potential as an architect, the stress that she was under, and, most interestingly his view that Alan had ‘already made her a fellow traveller, but sooner or later she will see through it all and tragedy may be the result’. Christian Ness would, in fact, combine all her so-called ‘duties’ successfully: she continued as an architect (with a brief interruption), and completed some significant commissions, notably the modernist Hampden Hill estate in Beaconsfield in the early 1960s, as well as work on the Russian Shop in Holborn in 1962. Already active in Architects Society for Peace and Construction, she joined the Communist Party in 1954. In that year, Alan, wanting to focus on his PhD, passed on the post of secretary of the UCL staff branch of the Communist Party to John Maynard Smith, at which point the telephone and postal surveillance of Alan Ness was stopped. 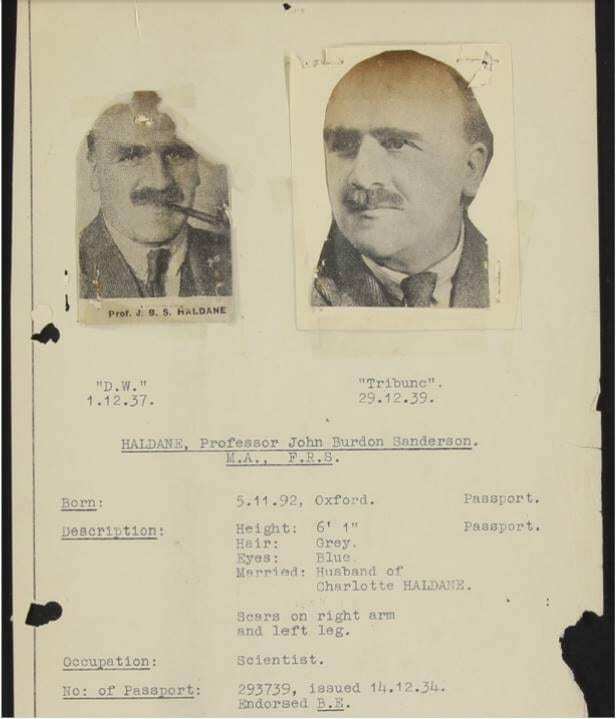 John Burdon Sanderson Haldane – JBS Haldane – had been tracked by MI5 and Special Branch since 1928, when he was at the University of Cambridge. He arrived at University College London in the early 1930s as Professor of Genetics (later Biometry). He was a tireless speaker for left-wing causes, and wrote regular science articles for the Daily Worker, back when scientific journalism was new. He was a very prominent, public Marxist, close to the CPGB leaders. 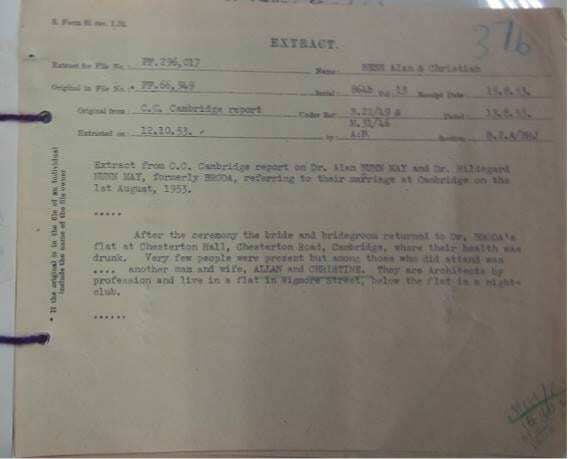 A page from JBS Haldane’s MI5 file. Note the portrait photographs cut and pasted from newspapers. The surveillance of JBS Haldane is full of the ironies of the spy game. A 1946 letter from a M.B. Towndrow tipping MI5 off that Haldane had been invited to an international congress on philosophy in Rome, where he ‘might possibly be asked by the British Communist Party to make contact with the Italian Communist Party’, was addressed to Kim Philby, who would be revealed as the third man of the Cambridge spy ring when he defected in 1963. The immediate threat of British McCarthyism receded. But following years would be a extremely difficult for Haldane – public figure, Marxist, geneticist – because of the great set-piece of Cold War science anti-communism: the Lysenko affair. Trofim Lysenko, the agronomist who promised revolutionary new methods to grow crops to feed the Soviet people and who won Stalin’s personal support, was at the height of his baleful influence. JAMES said that the fact that a well known Communist Scientist like HALDANE should have differed from LYSHENKO would give the reactionaries all over the world an opportunity to attack them. HALDANE must be persuaded to come and consult the Party before he took part in any future public debates or made any statements. With respect to security generally in the United Kingdom, [Haldane] commented as to the absurdity of the efforts of MI5 (British Counterintelligence). He [Haldane] assured the audience from personal observation and experiences over a period of years of association with classified government projects that the procedures and investigative methods of government agencies such as MI5 (“in this country and elsewhere”) are not really capable of uncovering really clever people. The people who are really responsible for so-called breaches of security are people in high places who whisper things to their friends to impress the latter. Leakages of information took place, not from scientists but from other high levels. He had had three personal experiences where in one instance a high ranking Government Official had informed him, although aware of his political opinions, of the development of radar, another … [of] nuclear fission. If there was a representative of MI5 in the audience who wanted these three names and addresses, Professor Haldane would be pleased to give them after the meeting. MI5 was not concerned with the question of whether secrecy would kill science, and thereby end the world. The counterintelligence organisation was in a quandary, however, about whether to take up Haldane’s offer of his own intelligence. At this point crucial parts of the file are redacted, and we don’t know what happened next. If Alan Ness was the ordinary communist and J.B.S. Haldane was the Marxist scientist superstar, then Eric Burhop was the middle-ranking UCL researcher who was unfairly suspected of a serious security breach and stepped unwittingly into controversy. Burhop was Australian, who had trained at the Cavendish and whom his fellow countryman, the physicist Mark Oliphant, had brought into the Manhattan Project during the Second World War, where he had worked alongside Harrie Massey, yet another Australian. When Massey returned to UCL in 1945, he brought Burhop back with him, first in the mathematics department and then part of the team that built up UCL’s post-war physics department. 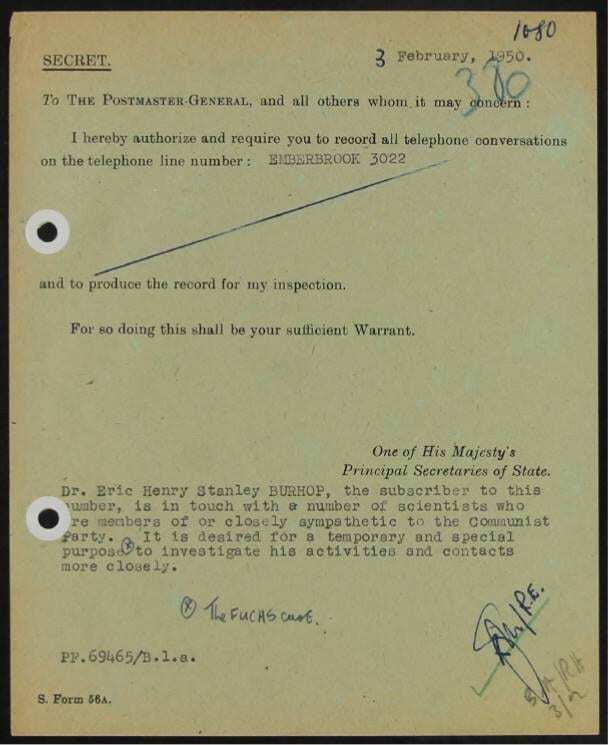 But as the Fuchs case broke, so the surveillance of British atomic scientists stepped up, and permission was granted to tap Burhop’s telephone. Request for permission to tap Burhop’s telephone. Note the ‘temporary and special purpose’ has been asterisked as the ‘Fuchs case’. 3 February 1950. As late as 1945, an Australian atomic scientist who worked on an Atomic Energy project was in close touch with Communist Party members in Brooklyn, New York, and through them with the highest Communist officials in the United States. The Australian atomic scientist passed on everything he knew about our Atomic Energy Programme including ‘the setup in New Mexico’ [ie Los Alamos]. The Australian scientist is no longer in the United States. He was in this country in 1943, 1944 and 1945, and made his contacts at the Thomas Jefferson School in New York City. He may be of the Jewish faith. Attention now focussed on the group around Oliphant, including Oliphant himself, Massey, four others, Burhop, and (given that an American could hardly be expected to distinguish the accents) the New Zealander Maurice Wilkins. Surveillance of Burhop was now intense. Not only was his phone tapped, but he was also followed by plain-clothed Special Branch officers as he travelled from home to UCL and back again. BURHOP was seen at 1pm making a telephone call and 55 minutes later was picked up leaving the Canteen. He walked to the Westminster Bank, Tavistock House, Upper Woburn Place. He was back at College by 2.5pm. When Burhop decided that he wanted to travel to Moscow in 1951, the security services were sent into a flap. The Australian authorities were prevailed to cancel his Australian passport, but Burhop secured a British replacement. Herbert Morrison, the Foreign Secretary, decided to cancel the new document. The case somehow made the press, and controversy followed, with legal challenges and questions being asked in Parliament. Burhop, interviewed in the Daily Herald, described the situation as ‘awkward’. Burhop: “It’s very awkward. Suppose I want a holiday abroad”. 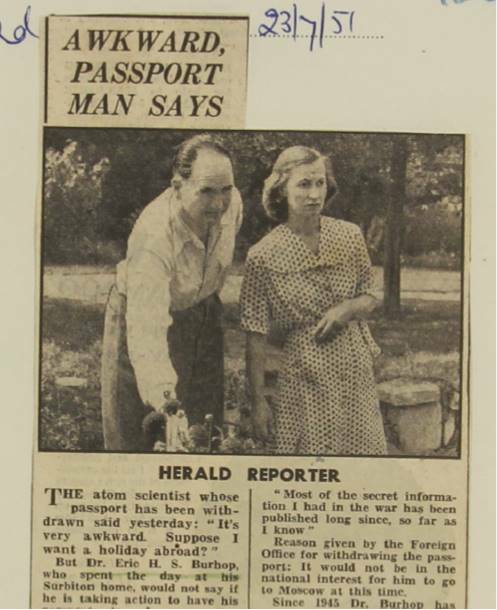 Daily Herald, 23 July 1951. The maintenance of personal freedom, and particularly of the right to leave one’s own country and to travel, is one of the main points in our “cold war” position. 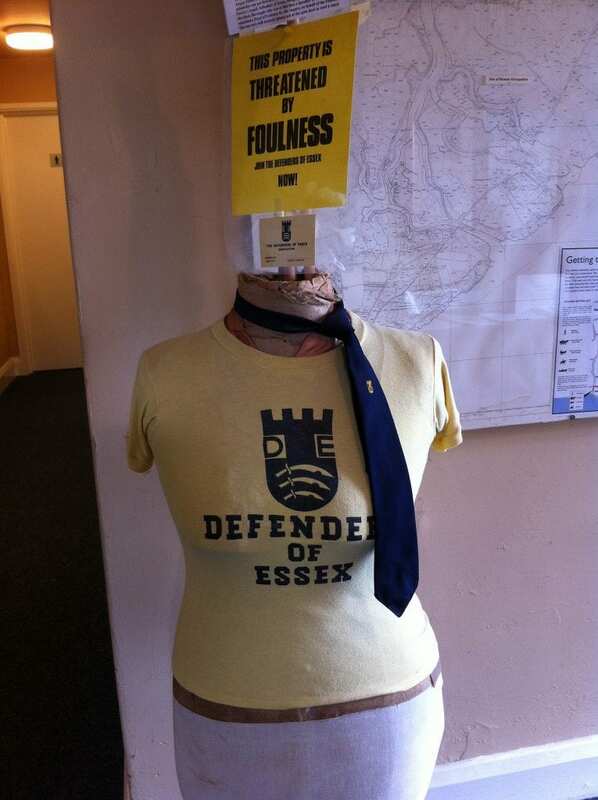 It seems to me that in our handling of this case we have provided our opponents with some welcome ammunition. Yet the original cause of all this anxiety, the rogue accusation of an ‘Australian’ associated with the Manhattan Project, was never resolved. Further investigation took place, notably in 1953, but neither identification nor refutation were ever made. Certainly there was no positive evidence that Burhop was the spy. Yet the suspicion alone was enough to bring the Cold War to the UCL campus. (1) The figure for scientists who were CP members in 1955 comes from reference to a list of 87 names to which the Communist Party Science Bulletin was mailed in May 1955. National Archives (hereafter NA) KV 2/4301. (2) The Ness files are in NA KV 2/4300 and NA KV 2/4301. (4) Stanley Hinge Hamp had a long career, in which he was first assistant and then partner with the architect Thomas Edward Collcutt, who designed the Imperial Institute in South Kensington. Collcutt & Hamp worked on the Savoy in the early 20th century, as well as the Wigmore Hall. Alan and Christian Ness lived at 126 Wigmore Street before moving to 37 Newton Street. (5) ‘Haldane: let them sack me’, Daily Express, 16 March 1948. (6) No relation to Waylon Smithers, of The Simpsons fame. (7) The two bodies were sub-sub-committees of the Medical Research Council (MRC): the Protection Sub-Committee on the Medical and Biological Applications of Nuclear Physics, and the Underwater Physiology Sub-Committee of the Royal Naval Personnel Research Committee. (8) Hansard, House of Commons, 26 April 1948. In March 1948, following discussion in Cabinet, Attlee had introduced a “Purge Procedure” ‘excluding both Communists and Fascists from work “vital to the Security of the State”‘. Christopher Andrew, The Defence of the Realm: the Authorized History of MI5, London; Allen Lane, 2009, p. 383. (9) Hansard, House of Commons, 4 May 1948. Director of the John Innes Horticultural Institution (a successor to Haldane), and Sydney Harland was Director of the Institute of Genetics in Lima, Peru. 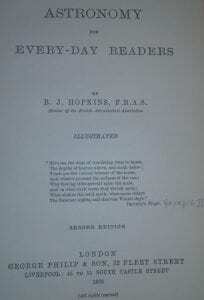 All were Fellows of the Royal Society. (11) Transcript, by F1A section of MI5, 2 December 1948. NA KV 2/1832. JAMES was James Klugmann, was a member of the executive committee of CPGB and later the Party’s official historian. BILL was Bill Wainwright, who had studied chemistry, would become Assistant General Secretary of CPGB in 1956. (12) Transcript, by FIA section of MI5, 5 July 1949. NA KV 2/1832. 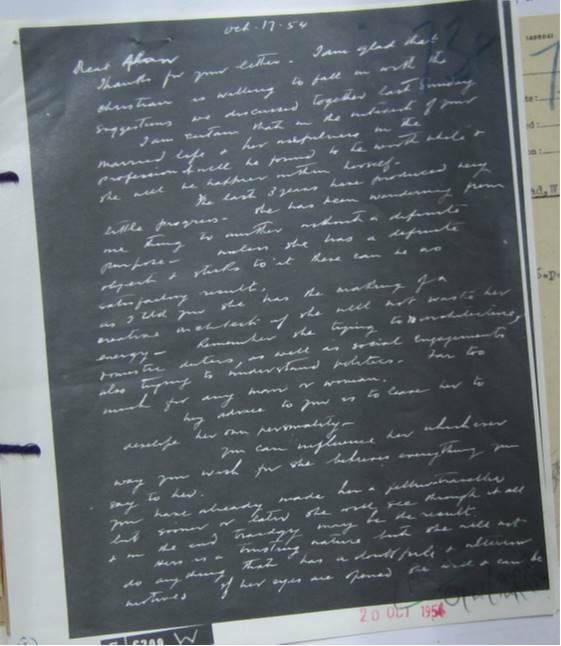 (13) Letter, Unknown (American Embassy, London) to John Marriott (MI5), 3 December 1951. NA KV 2/1832. Also speaking at the Science for Peace meeting were the botanist Frederick Gugenheim Gregory, the physicist C.F. Powell, and J.D. Bernal, who spoke from the floor. (14) Excerpt (incomplete) of report on Science for Peace meeting, 1951. NA KV 2/1832. (15) NA KV 2/3228 – KV 2/3239. (16) ‘Atom scientist’, Evening Standard, 10th October 1949. Did you study at a new university in the 1960s or 1970s? Were you studying, teaching or researching science or technology at one or the following universities in the 1960s or 1970s? Or do you know someone who did? If so, I would very much like to hear about your experiences. I am planning to conduct some research as part of a project on the expansion of the new 1960s universities and the conversion of the Colleges of Advanced Technology to university status, and am particularly interested in how these changes reshaped the teaching and research of science and technology in the UK. 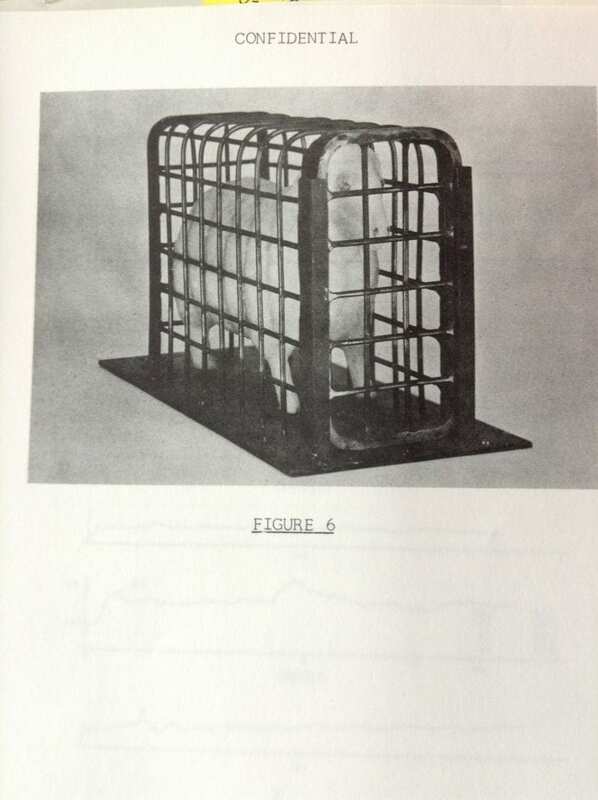 For a decade from 1969, experts in the United Kingdom researched what they called the ‘peaceful uses of nuclear explosives’. 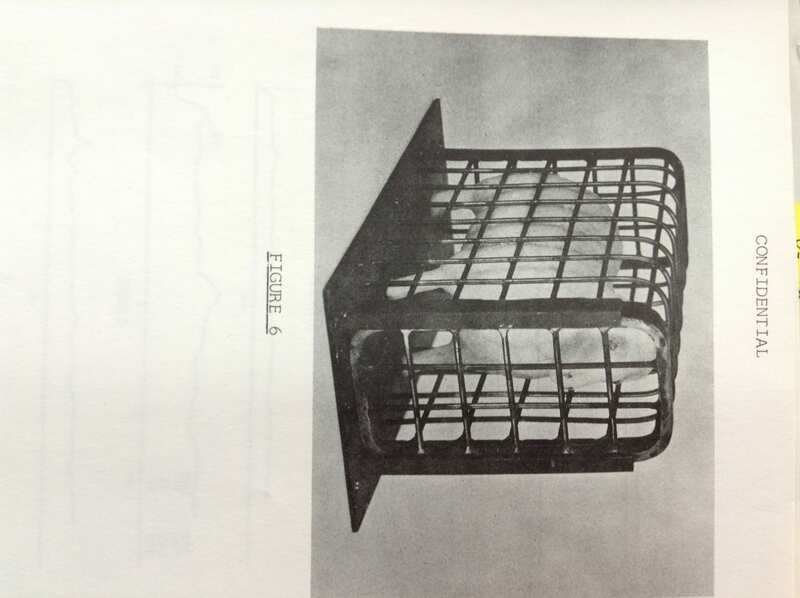 The project, based at the Atomic Weapons Research Establishment at Aldermaston, was never a large one, indeed the annual resources devoted to it never exceeded three person-years, but it does reveal the outer boundaries of what was considered to be feasible and perhaps justifiable. 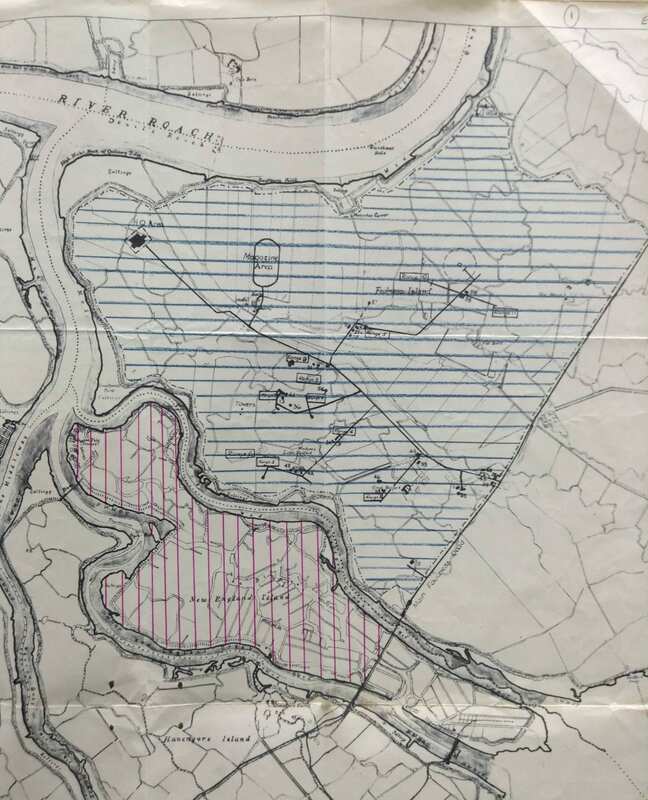 Here’s two plans watched carefully by the Aldermaston team. In discussing the use of PNE for North Sea oil storage – at the field, close inshore or on land – the French expressed the view that any project would have to be an international one, possibly involving most of the littoral States. They expressed themselves eager to co-operate in such a scheme, particularly with the UK, and are prepared to enter formal or informal discussions at any level. 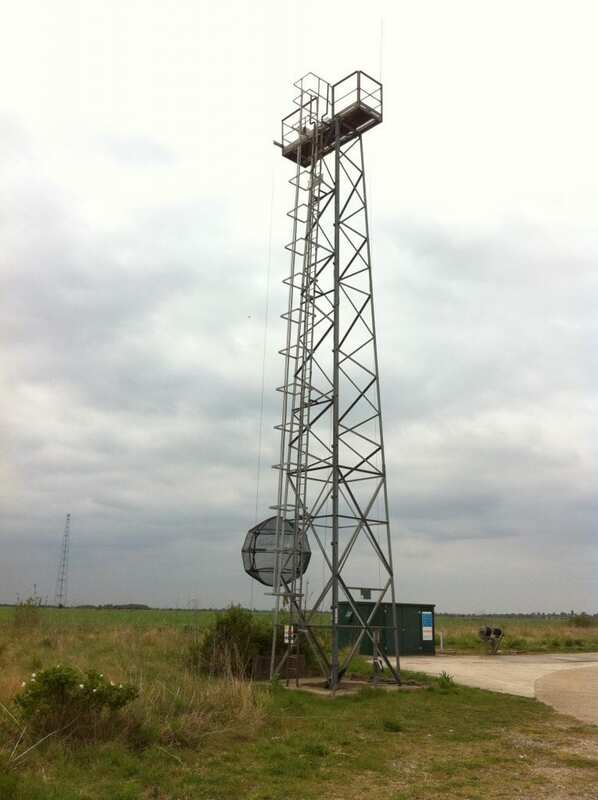 The Scottish Office and the Department of Trade and Industry also asked the Aldermaston team for similar advice, and a report, “Cheap oil storage beneath the bed of the North Sea in cavities/chimneys created by contained nuclear explosions”, was written. 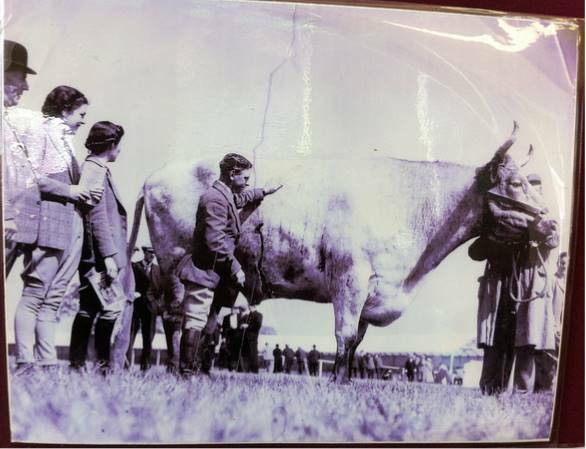 In fact a ‘site on one of the uninhabited islands of the Shetlands’ was even identified as the ‘best immediate prospect for PNE’. For a while momentum seemed to be gathering. 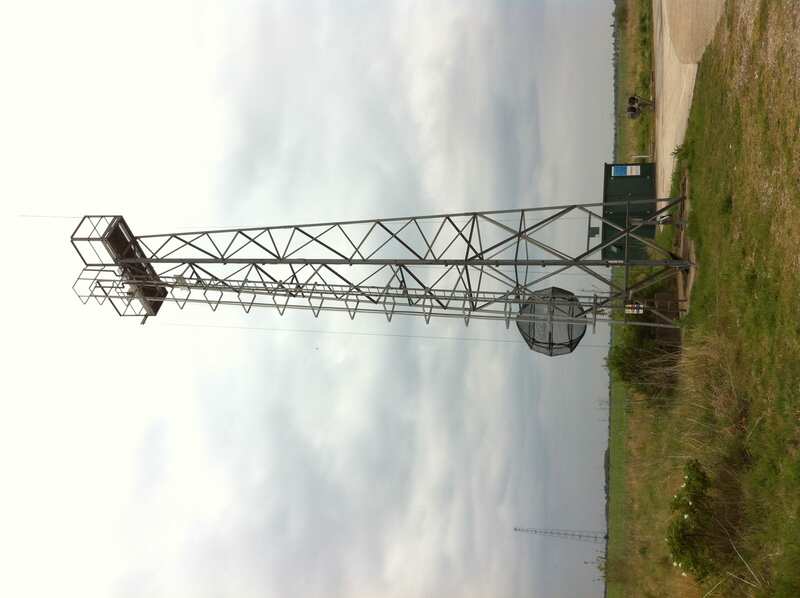 PNE might not only be used to form vast spaces for storage but also be used to stimulate the flow of hydrocarbons – a form of nuclear fracking, if you like. The Russians reported that they had successfully operated a gas condensate storage unit ‘created by a 15 kton contained nuclear explosion’ in a salt dome. 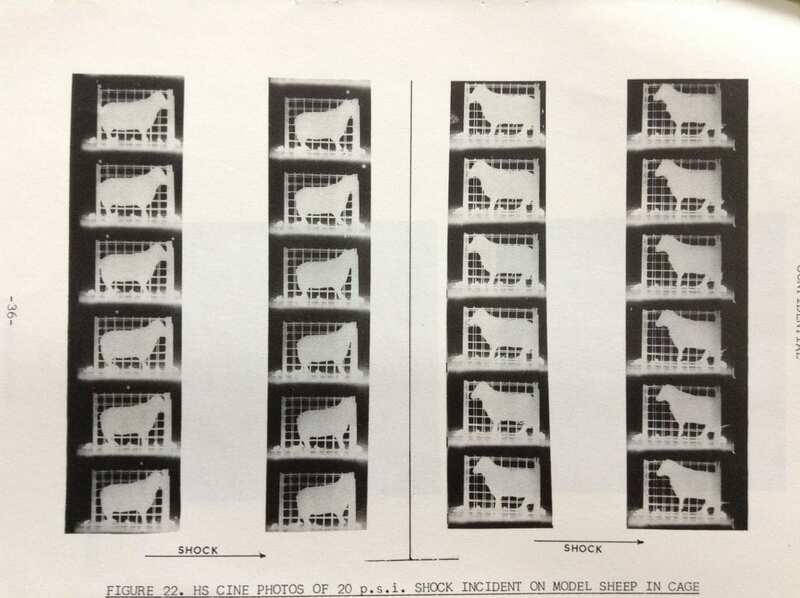 However, by 1973 other investigations, ironically also from within the nuclear state, poured cold water on the scheme: ‘PNE would be uneconomic in shallow, offshore waters simply due to the small size of the storage market’ – although perhaps the project might return in the 1980s as deeper waters were explored and the market had further grown. When not studying other countries’ schemes, the Aldermaston scientists busied themselves on subsidiary research: estimating the production of radioactivity, predicting fallout patterns and investigating methods of ‘reducing eventual hazards to consumers’. They also assisted the Foreign and Commonwealth Office in thinking through the consequences of a Comprehensive Test Ban regime. The second project examined closely by the Aldermaston team was an American one called PACER, proposed by Los Alamos and the consultants R&D Associates. A spherical cavity some 200m in diameter would be leached out of a salt dome nearly a mile underground. The giant hole would be filled with a million tons of water. Then a 50 kiloton thermonuclear device would be detonated, producing immense quantities of high pressure steam, which in turn would drive turbines powerfully enough to produce 2000 MW of electricity. And this process would be repeated 750 times a year. Read that last sentence again. The quick appraisal of PACER produced by an Aldermaston scientist is remarkably matter of fact. The construction of the cavity presented no ‘insuperable difficulty’. Even when the scale of the detonation is discussed – 30,000 explosions over a 40 year life span, all in one hole in the ground – the ‘big technical uncertainty’ of stability only provoked a deadpan note that any ‘failure would have a catastrophic effect on the economics’. But the production of explosives was deemed eminently feasible: the ‘United States has deployed 7000 tactical nuclear weapons in Europe since the mid-fifties and so they could clearly produce 750 50 kton explosives of one type per year’. And if the United States could do it, how about the United Kingdom? 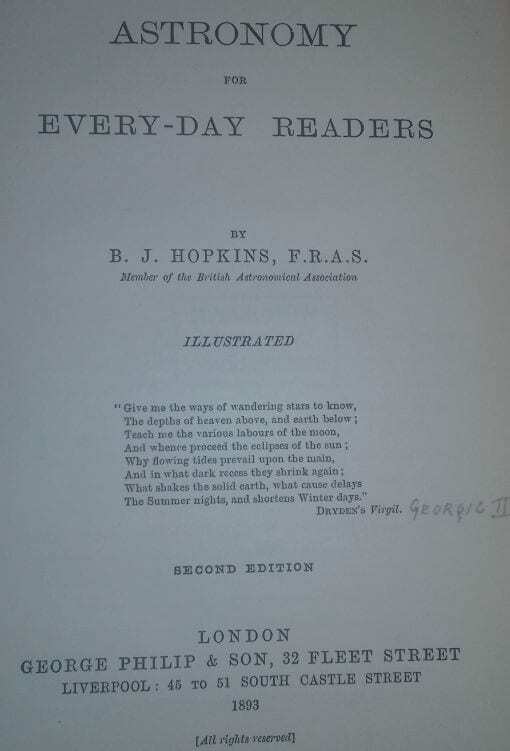 ‘The first step in ascertaining whether PACER is of interest to the United Kingdom’, concluded Parker, ‘could be to survey the salt formations which occur in and around the British Isles’. And if they did occur, why not? ‘The sponsors of this project appear to believe that public acceptance is the major obstacle’. Indeed. Here’s a list of journals within the broad STS field, including history of science, philosophy of science, sociology of science, history of mathematics, history of medicine, history of technology, science policy. It’s useful to have all the links in one place. Good for a browse to catch up on what’s new! It’s updated from a “journal article listing” that I used to regularly do for the mersenne jiscmail list. If there are any missing journals, then let me know and I’ll add them. Senior scientists often (used to?) say that, when talking to their fellow citizens about matters scientific, the public need facts, certainties, and anything to do with uncertainty should be kept well away from them. More nuanced takes on science communication aver that what people really need to know about is how science really works, and that involves notions that scientists are people just like them, with their various falibilities, their doubts and their uncertainties. I’ve felt for a long time that genuine science communication had to adopt a much more intermediate and pragmatic approach: citizens do look to scientists to give them facts and reliable information – otherwise what is the point of paying them a salary, often from the public purse; but they can cope with the ideas of uncertainty and the limits to existing knowledge and what is knowable without going into a blind panic. Until now, however, I had not really seen it work in practice quite like that. Whilst the rest of the USA is preparing for Thanksgiving Day (Thursday, November 26, this year), the little town of Pahoa on the Big Island of Hawai’i is wondering just how many Thanksgivings they have to come – including this one. Hawai’i is an active volcano, and the Pu’u O’O vent on the eastern flank of Mauna Loa has been steadily pouring lava downslope into the sea for decades. Normally the lava flows east or south-east. But on June 27 this year, the flow turned dangerously north-eastward, toward Pahoa. And it has been heading for the town ever since. The lava approaching Pahoa is known as pahoehoe. It is a smooth, sticky lava that generally flows slowly downslope. This is in contrast with the explosive pyroclastic flows of the sort that engulfed Pompeii in 79AD, which move so fast no one has a chance to get out of the way. The main flow cut through Cemetery Road on the outskirts of town some time ago, burned down its first house earlier this month, surrounded the $3 million-plus, state-of-the-art, Waste Transfer Station, and is now stalled just short of the main road through the town centre. Given the relentless approach of the lava, one might imagine the townspeople to be giving a pretty good impression of Corporal Jones and Private Frazer in “Dad’s Army”. No. Local citizens have been getting together with scientists from the United States Geological Survey (USGS) on a weekly basis since August 24 this year. I went to the meeting on November 20 along with some 300 Pahoa inhabitants – about half of the adult population. The update from the USGS started with a quiz about the three factors controlling lava flow – what is happening at the summit of Pu’u O’o, what is happening with the lava tube that carries the lava down towards the town, and the nature of the terrain over which the lava finally pours when it emerges from the tube. November 20’s update was that although Pu’u O’o was producing about one third more lava than it had been two weeks ago, a break-out near the crater summit had robbed the lava tube of its lava and led to surface flows far upslope from the town. The terrain there was tending to take that lava away from Pahoa. But – and here the USGS were very clear – the future was highly unpredictable. Would the lava tube refill, leading to flows resuming towards the town? Not sure. 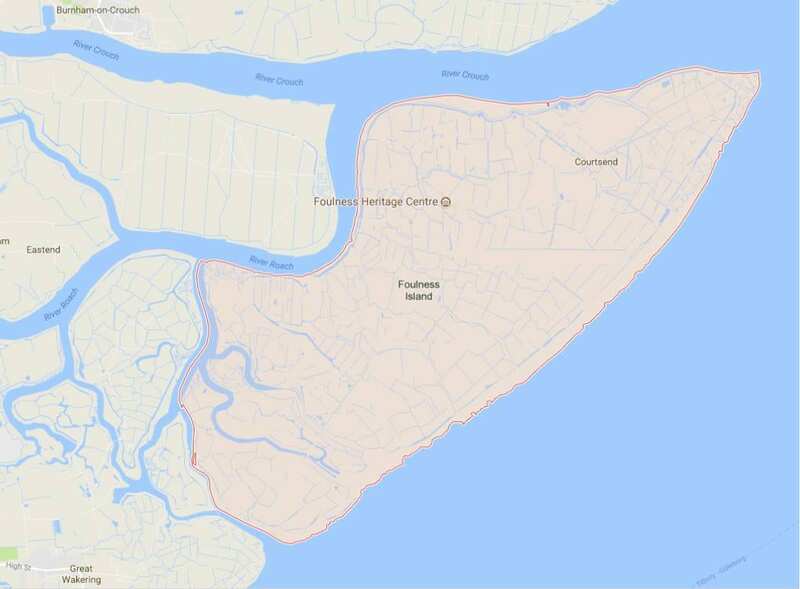 If so, how soon would the flow nearest the town restart? Not sure. The approach of the local USGS scientists as well as public bodies such as the health and rescue services, the National Guard, and the Mayor’s office has been to let local citizens know what they know and tell them what they do not know. Locals are also encouraged to use their own eyes, ears and – given the various smells of sulphur dioxide and burning that accompany the lava wherever it goes – noses. Representatives of the various relief bodies mix freely with the Pahoans to discuss, listen to eye-witness accounts and answer the questions that their expertise is best suited to answer. 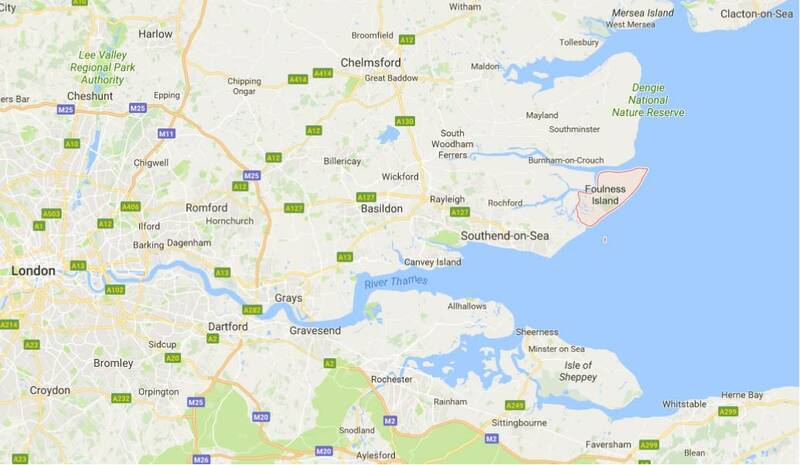 Schoolchildren who have been forced to move school because of the poor air quality are to be among the first to be taken to see the main flow itself, when the situation is deemed safe enough to do so. That way they can appreciate at first hand why their island home makes so many demands on those who live there. The result is that the people are generally well informed and, at the same time, feel involved with, and even in control of, their situation, insofar as anyone living with an active volcano can feel in control. Any Corporal Joneses have learned that “don’t panic” means just that. Any Private Frazers have been reassured that, whilst we are all ultimately “doomed, doomed”, it is “just not quite yet”. The Imitation Game is film about the life of Alan Turing, ‘based on real events’ and taking as its main source Andrew Hodges’s biography, The Enigma of Intelligence. It is mostly set at the Government Code and Cypher School, also known as Bletchley Park. It was there that Turing, and many others, gathered to attack German coded messages. The cultural interest in Bletchley Park has several motivations. There is the tragic story of Turing himself. Most powerfully Turing’s life and work has become an icon and rallying point in LGBT politics. This interest has motivated the best historical work on Turing in the form of Hodges’ extraordinary biography. (Here’s my UCL LGBT history week public lecture on Turing, very much in praise of Hodges’ account.) 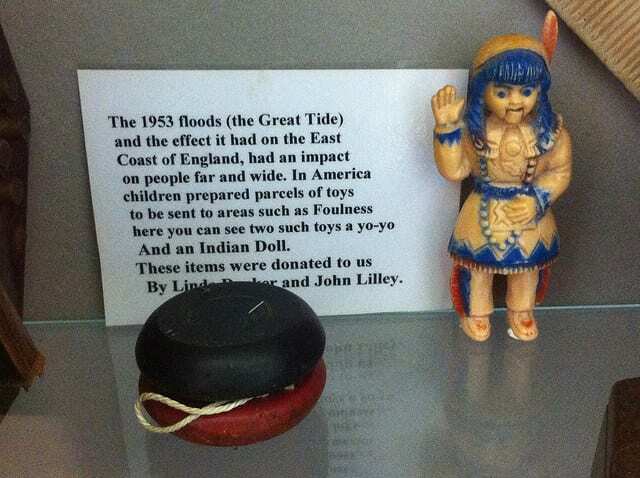 Second, there is the attraction of the secret, compounded by the fact that a silence, partly officially but also partly self-imposed, around Bletchley Park activities lasted until the 1970s (not the ’50 years’ after 1945 claimed by the film). The subsequent rush of information, all the more emotionally-charged for having been pent up so long, has given Bletchley Park extraordinary prominence. Third, there is a narrative, inflected with nationalism, that celebrates Bletchley Park as a distinctively British contribution to the defeat of Nazism: it was by brain-power not brute production (undercutting claims that it Russian and American contributions that were decisive), it is presented as amateur (it was anything but), and it is nostalgic. At Bletchley Park, the signals intelligence, collected by outlying stations was channelled, and made subject to cryptanalytical attack. The messages coded using the Enigma machines were subject to human and machine (‘bombe’) analysis. The messages encrypted using a cipher machine codenamed ‘Tunny’ were processed by Colossus, the extraordinary electronic valve-based symbol-manipulating machine designed and built by the General Post Office team under Thomas H. Flowers. The first Colossus was built in 1943. Ten Colossi were in operation by 1945. We should remember that Bletchley Park was an industrial operation: large-scale, a focus on speed and flow, with innovation and mechanisation at reverse salients. I made this observation in The Government Machine (2003). Other historians agree. 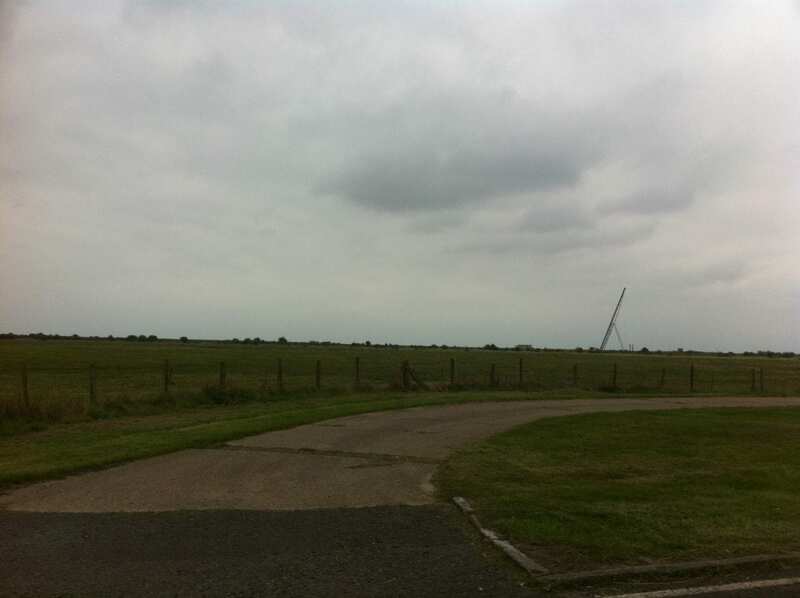 Aldrich writes of the wartime sigint sites: ‘All of them were symptomatic of an industrial revolution in secret intelligence: both Bletchley Park and the outstations operated like factories, with three gruelling shifts each day’. Copeland describes the ‘two vast steel-framed buildings’ that housed the Colossi as ‘a factory dedicated to breaking Tunny’. The Imitation Game gives little sense of this scale of operations. But most of the complaints about the film’s inaccuracies have focussed elsewhere. Alex von Tunzwelmann has written an ace (pun intended) take down of The Imitation Game in a Guardian blog piece. She says, rightly, that the film missteps in many ways: presenting the revelation of the death of schoolfriend/object of desire Christopher Morcom to Turing as cold and brutal; misrepresenting Turing’s honesty with Joan Clarke about his homosexuality; inventing that Turing called the Bombe and later machines ‘Christopher’; and, by placing the spy John Cairncross in Turing’s team, suggesting that Turing was suspected at Bletchley Park as a Soviet spy. There are plenty of other factual errors, from the major (Turing did not build a replica Manchester Mark I computer in his home, let alone call it ‘Christopher’) to the minor (Hugh Alexander, cryptananalyst and chess champ, did not attack the Bombe with a spanner). But, I asked on twitter, do the historical inaccuracies matter when the bigger dramatic points work? So far everyone – @rmathematicus, @HPSGlonk, @JamesBSumner, @NicksFlickPicks and @alexvtunzelmann – has said ‘yes’. I think ‘no’, for this reason. The Imitation Game, aside from tragedy, is a dramatisation of Hodges’ central argument, that the cause of Turing’s profound inquiry into the materialisation of mind was the trauma of Morcom’s death. The scenes with ‘Christopher’ the machine, however much invented, run with this insight and present it as a cinematic, not documentary, truth. It is present too in the final scenes – also fantasy – in which the conflicted police detective (played by Rory Kinnear) has Benedict Cumberbatch take the Turing Test, an imitation game in which the impossible bind of hiding or revealing homosexuality is equivalent to saying or not saying a mind can be a machine. If that was the biggest point, then The Imitation Game, despite its inventions, dramatised it well.